Palmerston’s government was determined to maintain a strict neutrality. This, to most intents and purposes, it succeeded in doing though their cotton industry suffered direly. The blockades of the Southern ports cut off supplies of raw cotton upon which the Lancashire cotton industry was dependent. The cotton famine deprived many Lancashire operatives of their means of livelihood. The Trent Affair increased sympathy with the South in England and very nearly involved Great Britain in the war. The Southerners dispatched two commissioners, one to England and one to France. The commissioners reached a neutral port and embarked on a British vessel, the Trent. 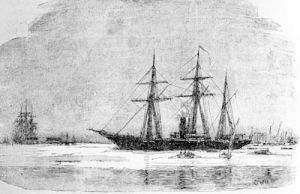 A Union warship boarded The Trent and the commissioners were carried off. A declaration of war was only averted when President Lincoln gave way to the demands of the British Government and released the commissioners. Yet, the Union had cause for complaint. Ships were built and fitted out in British docks and sailed from British ports with apparently harmless intent, to be employed as cruisers by the Confederates, having been cleverly concealed. The most notorious instance was the Alabama. The British Government flatly repudiated the charge that it did not display due diligence in preventing such action. When the war ended with the Union the victor, claims were brought for damages done by the cruisers. If Britain had entered the war on the side of the South, how might history have been different! 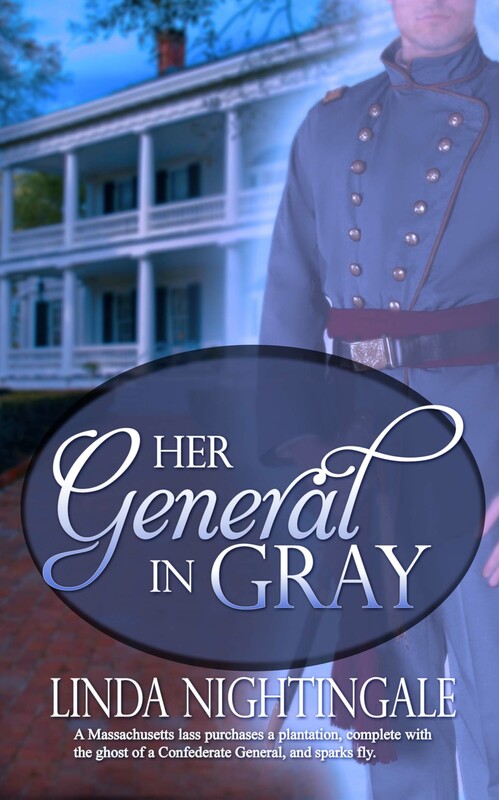 Her General in Gray was inspired by the Ghost & Mrs. Muir, not by the Civil War. Here is the blurb and a short excerpt. See what you think of this Confederate General. “I’m the intruder? You’re dead. You have no claim on this place.” She braced her hands on her hips, glaring at the arrogant spirit. Kara, I appreciate your comment and your taking time to visit. I have a special place in my heart for HGIG. The hero has my grandfather’s name, and I dedicated it to my parents. 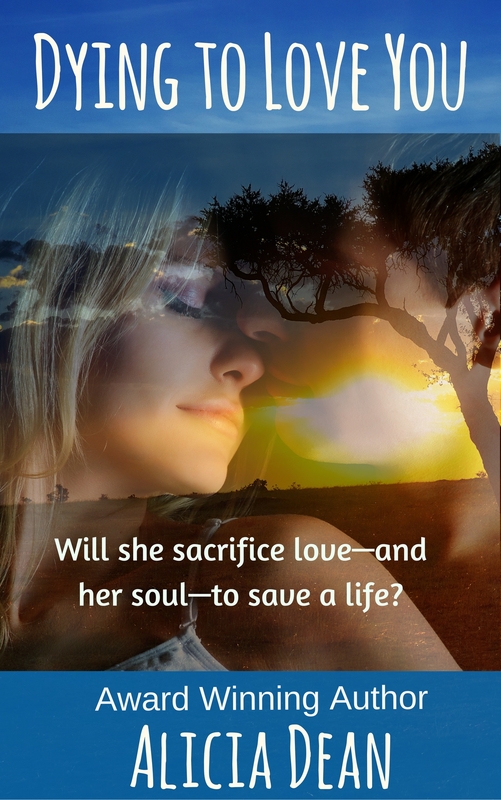 Loved the excerpt! Congrats on your release! Thanks Maureen. Autumn is a feisty girl and she’s not going to let a ghost run her out of her new home. Love the excerpt. It just went on my TBR pile. Love the excerpt! Congrats on your new release! I love the post, and the premise of your book is so interesting! Thank you, Alina and thanks for dropping by! A character in one of my books is named Alina. I think it is a lovely name. Sounds like another great book, Linda! Thank you, Pam, for your well wishes for the book, and God’s blessings. Fascinating!!! I’d never thought about the British view of the American Civil War or thought them involved. I’ve also watched The Ghost and Mrs. Muir and enjoyed it! Her General in Gray sounds Great! Interesting post and I enjoyed the excerpt. Best of luck with your new release! Hi, Tena, glad you liked the excerpt. It’s always good to hear something nice like that from an author you enjoy reading.